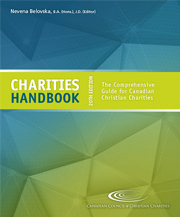 Certain payments to a registered charity for religious instruction may be treated as charitable gifts. The portion of a payment made to a religious school that can be reasonably allocated to religious instruction may be treated as the eligible amount on an official receipt for tax purposes. This is expressly recognized by the courts and in CRA Information Circular IC75-23, but certain rules must be followed.